I was taking a brief break from work this morning to check the headlines on the Post-Gazette and Huffington Post. 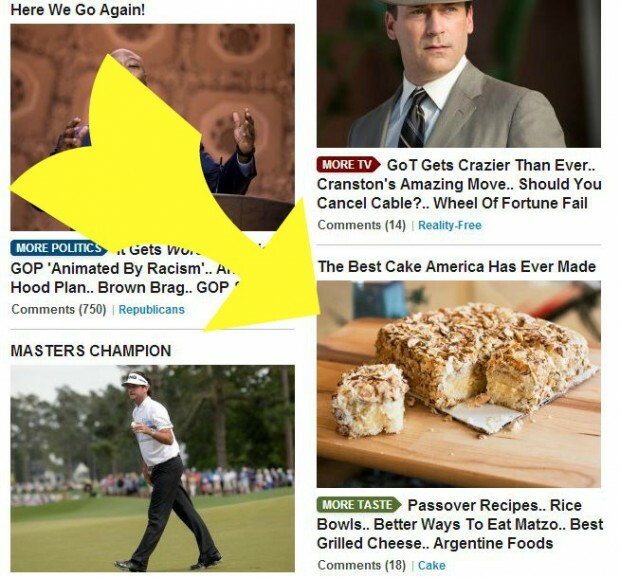 Right below Don Draper and next to Bubba Watson is a picture of something that looks like it came from Pittsburgh…. I clicked through to find this post – Thank You, Pittsburgh, For the Greatest Cake America Has Ever Made. But then we got our hands on a cake from Prantl’s Bakery in Pittsburgh and we realized that we couldn’t be more wrong. 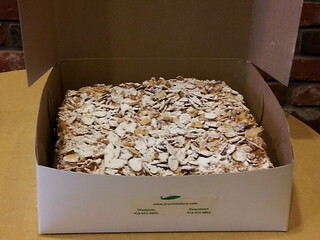 No cake made in any of the five boroughs of New York holds a candle to Prantl’s amazing burnt almond torte. It is probably the BEST cake America has to offer. Yes, the rest of the world is discovering what Pittsburghers already know – Prantl’s Burnt Almond Torte is something special. Prantls is located in Shadyside on Walnut Street and is open 7 days a week. They also have a location downtown. And yes, Burnt Almond Tortes can be ordered online and shipped anywhere in the US. 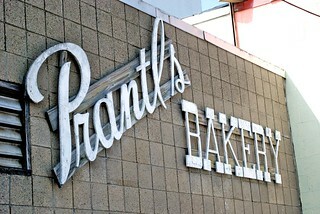 You can like Prantl’s on Facebook here and follow @prantlsbakery on Twitter. I am not crazy about the photos that Huffington Post used for this article, because they don’t really say anything about Pittsburgh or Prantls. Here are a few more Prantl’s pictures. Please add your own photos in the comments below. 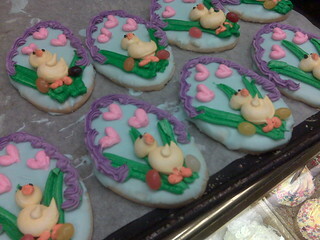 Here is a photo I took of some Easter cookies at Prantls a few years ago. I have friends that when they come back to visit Pittsburgh, immediately head to Prantl’s for a cookie covered in icing.